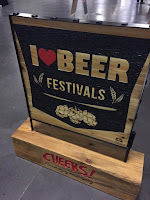 Home / Events / No Hibernating for Beer Fests! 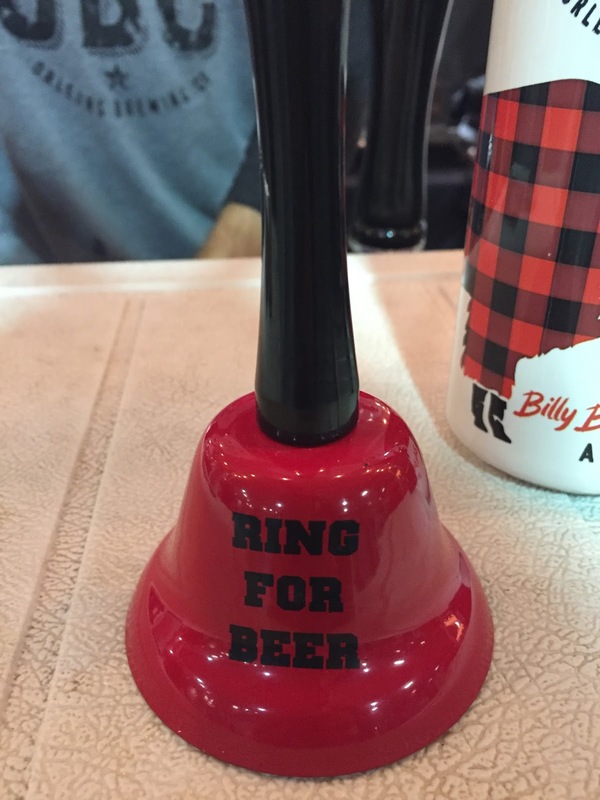 No Hibernating for Beer Fests! The winter is here and all I think about is hibernating. The beer community thinks not. Just when I thought there would be nothing to do, I was blessed with 2 events to keep the beer party alive. 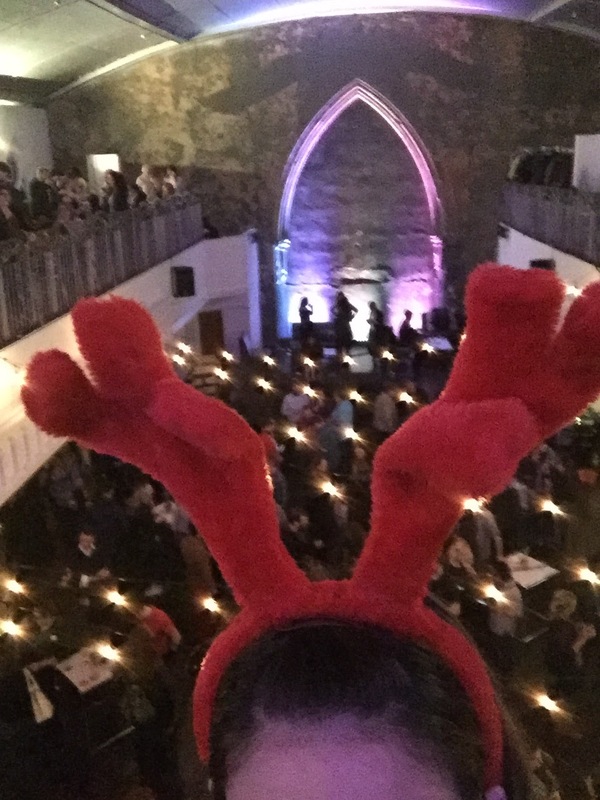 Berkeley Church was full of winter beers and ugly sweaters. Like OMG. Glad there were delightful shades of beer to distract me from the awful Christmas attire. Luckily, there was an excuse for this as Drink Inc was running a contest. Beck Taxi was also there making sure everyone got home safe. They probably have the most energetic ambassadors I've seen all year! Sobeys sponsored the food and snack stations. Each person was given a card to check off the snacks they've tried as well as a suggested pairing. Sweet! There were 4 stations and more food for sale, if you were especially hungry. As for beer, there was a ton of unique brews to try. I started with Oast and their Roasted Chestnut Brown Ale and Squash flavoured beer. Pretty good and pretty festive! The guys from Oast are always welcoming and friendly, it made sense to see them at a festive event such as this. Next, I headed upstairs to see my friends at Old Tomorrow. In addition to their fabulous ales, they also offered Beer Floats! Sad I didn't get to try one, but everyone eating them looked so happy! From there, I was looking for something a little lighter, so off to Northern Maverick for their Vienna Lager. Refreshing! I'd seen several dark beers, so I thought I'd see what Batch's Milk Stout was like. It was so good. Not overly milk tasting, like other milk stouts I've had, but great coffee and vanilla flavours. The music was a little blah, but it wasn't meant to be a dance party; it's a beer party to taste and enjoy. Drink Inc knows how to throw a party! I didn't have an ugly sweater to blend in with the crowd, but I was rocking some serious reindeer antlers, so that counts right? 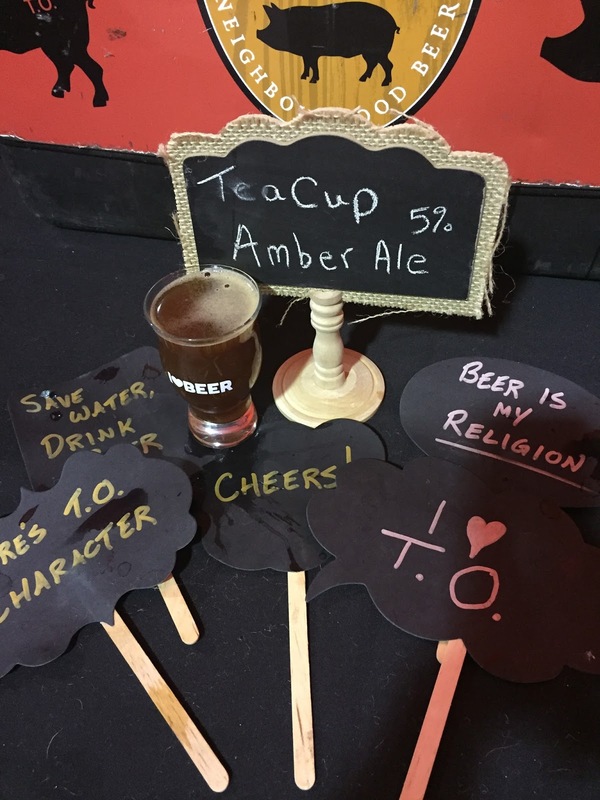 The day TFC won beer drinkers also won as I Heart Beer had their event at the Queen Elizabeth Building at Exhibition. Did I almost get trampled trying to get to the event? Yes...in case you were wondering. 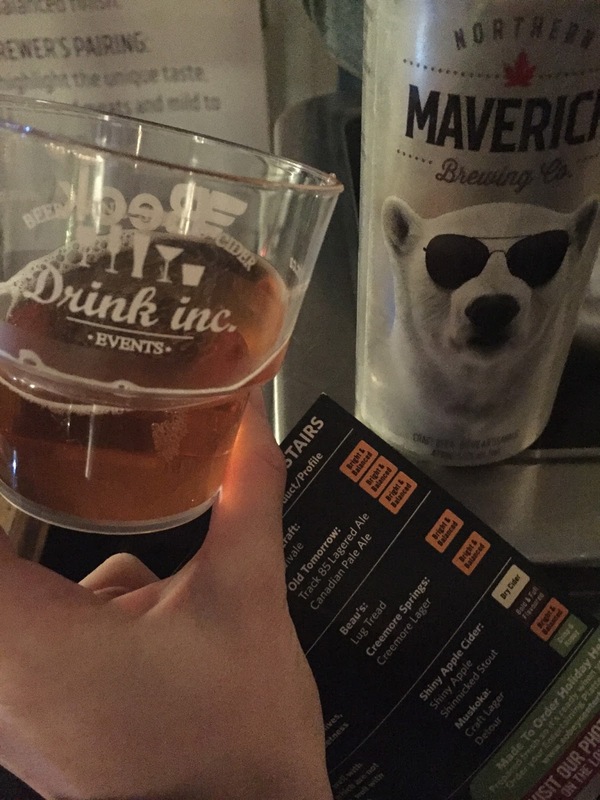 It was my first time at an I Heart Beer event, so I didn't know what to expect. There was a good variety of breweries and vendors there. I took at tour around first. 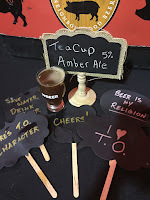 There was food vendors, jenga to play, swag from Society of Beer Drinking Ladies and a photo booth. I didn't see coat check, but there was a ton of seating, so I dropped my coat on a chair and off I went. There was coat check, but the chair served me well. 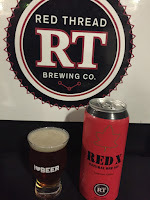 Since I'd been interacting with Red Thread Brewing on Instagram lately, I thought I'd check them out first. 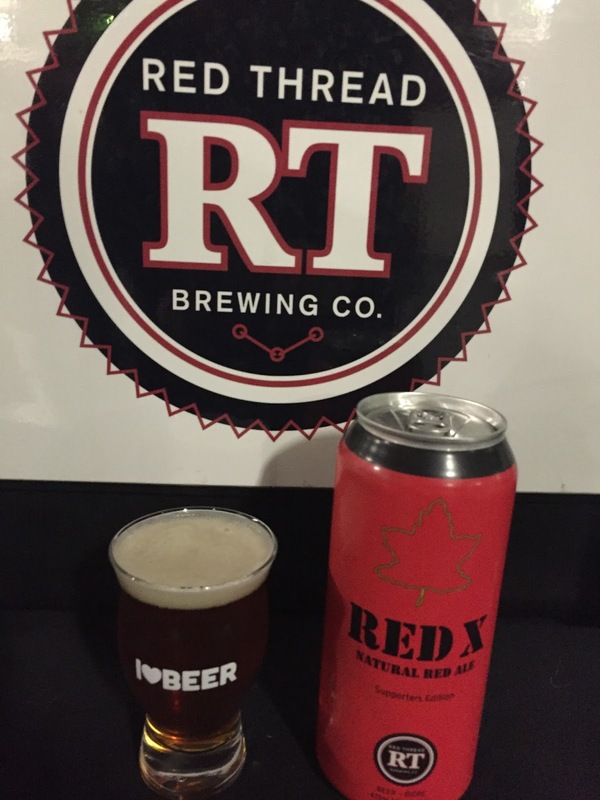 I'd never had their beer, so Red X was the first beer of the evening. An easy drinking red. So far, so good. I looked back at my coat and there were people sitting near it. I sat down and asked for a recommendation on my next brew. They pointed me to Orleans Brewing. Another brewery I had not tried; this was going well. I went for Kolsch Me Ousside. As I enjoy malty beer, this was right up my alley. Ahh, time for a light beer to cleanse the palette. Hey! Northern Maverick was there....and the same guy that was at Hoppy Holidays. He may think I'm stalking him. I was wearing the antlers again, there was literally no hiding. Awkward. Time for some barrel-aged goodness. Lagershed was offering Barrelshed, beer aged in pinot noir barrels. After my first sip, I was craving steak. Ooohh. I get why barrel aging is such a trend. Tasty! The first red I had was good, time for another! Lake of Bays had a Red Doppel Weizen. A solid red. So malty, great colour with a lovely sweet aroma. Mmmm. At this point, I was down to my last ticket. Where to go....Hogtown looks like a good spot to end the night. Tea Cup Amber? I like tea and beer, so why not? I took a few photos and began walking to my coat, I took a sip and turned right around. I needed to tell the beer slinger that I loved it. He then broke my heart by telling me it was a limited release. Whhhy?! Good night. Tried some new brews, met whomever sat near my coat and took lots of photos. All in all, a successful beer fest! Can't wait to see what January has in store!